We’re thrilled to be the official rideshare partner of the Los Angeles Football Club, LA’s newest sports team. Ride with Lyft and getting to and from LAFC games is easy. Get going with $5 off one ride to or from the brand new Banc of California Stadium, all season long. 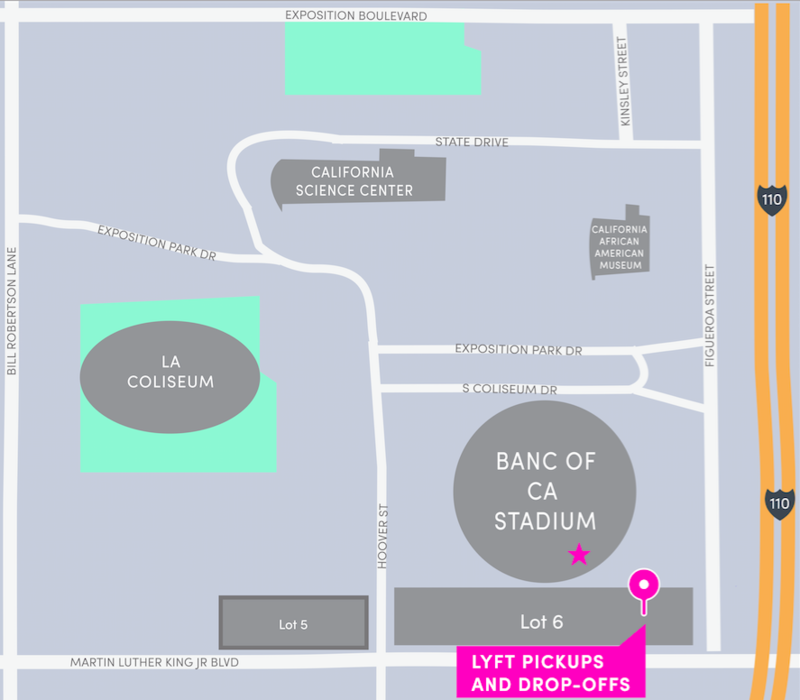 Our pickup/drop-off zone is right outside the stadium in Lot 6, near the Southeast Gate. So if you’re headed to the game, we’ve got you covered, all season long.